Twenty50 is a 9-story rental building in Fort Lee, New Jersey. MW Interiors provided full interior design services, concept design through construction documentation, for all common areas and units. Furniture and accessory services were provided for the main lobby, leasing office, library, internet café, game room, and pool deck. Feng Shui principles guided the design. A mix of natural and organic materials offset with contemporary styling complete the aesthetic. 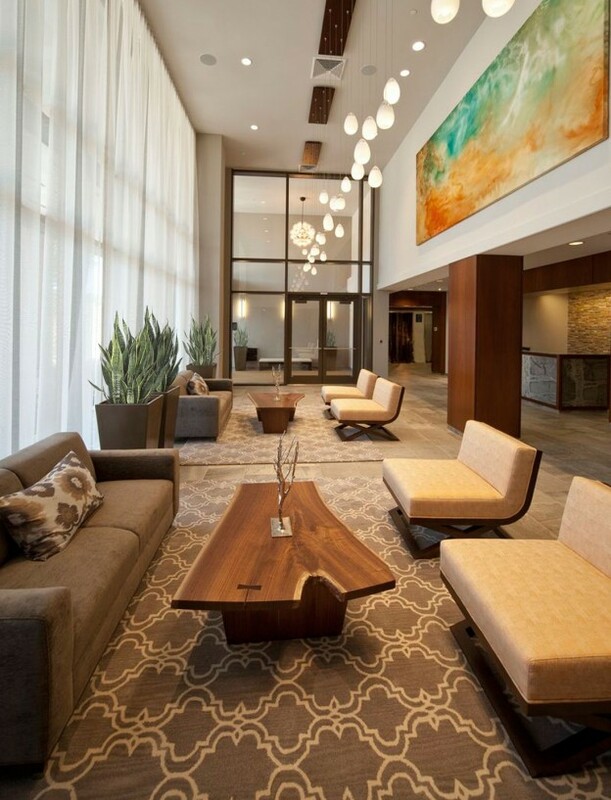 Features in the lobby include two handcrafted walnut slab coffee tables by a local artisan and a series of dramatic light fixtures. A fireplace and custom water feature are additional highlights in the space. Upon completion, a blessing certificate from a certified Feng Shui consultant was awarded. This entry was posted in Interior Design on October 25, 2014 by Melissa Thomson.